Get your motor running! 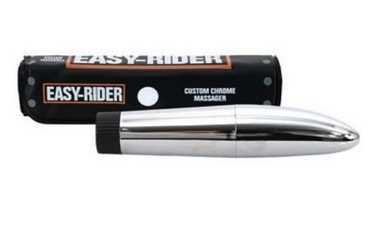 The Easy-Rider Mini Vibe is made of chrome plastic and comes in a novelty carrying case. The vibe has a usable length of 4.75 in with a diameter ranging up to 1 in. The Easy-Rider requires one AA size battery, not included.